Katzenberg runs DreamWorks, the largest animation studio in the world, which he co-founded with famed director Steven Spielberg and Hollywood megamogul David Geffen in October 1994. It has released a total of 18 animated feature films so far, including "Shrek," "Madagascar" and "Kung Fu Panda." 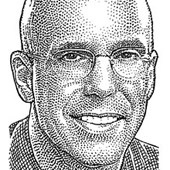 Prior to co-founding DreamWorks, Katzenberg served as chairman of Disney Studios. He also previously served as president of Paramount Studios, where he was involved in such now-classic films as "Raiders of the Lost Ark," "Saturday Night Fever," and "Grease." In other words, he brought you all your favorite movies in high school, and now he's making them for your kids. All those “channels” and TV stars you heard about a year ago? M.I.A. at YouTube’s big sales event last night, replaced by Felicia Day and Macklemore. Done Deal! DreamWorks Paying $33 Million, and Maybe Much More, for AwesomenessTV. It’s the first of the YouTube-hatched video networks to get snapped up by a big media player. Lots of Big Media companies are investing in YouTube startups. Now a Hollywood heavyweight may buy one. The legendary Valley VC will soon advise the struggling social gaming giant. Lincoln Wallen promoted to top tech job at Hollywood animation studio. A team spun off from the studio behind “Shrek” and “Madagascar” wants to make the next Instagram. Will Zynga’s CastleVille Be Able to Top CityVille? Since Zynga launched CityVille nearly a year ago, it has dominated the top of the social games charts. Will Zynga’s newest ’Ville be able to top it? DreamWorks Animation SKG Inc.’s chief executive Jeffrey Katzenberg played down a decision by Paramount Pictures to launch a rival animation division—a move by its partner that adds to other new challenges for the animation powerhouse. Last month, Zynga added Jeffrey Katzenberg, the CEO and co-founder of DreamWorks Animation, to its board of directors, hinting at its aspirations to add more entertainment to its social games. Zynga is beefing up its board of directors by announcing today that it has added Jeffrey Katzenberg, the CEO and co-founder of DreamWorks Animation. Are You Ready for 3-D in Your Living Room? Hollywood Can’t Wait.